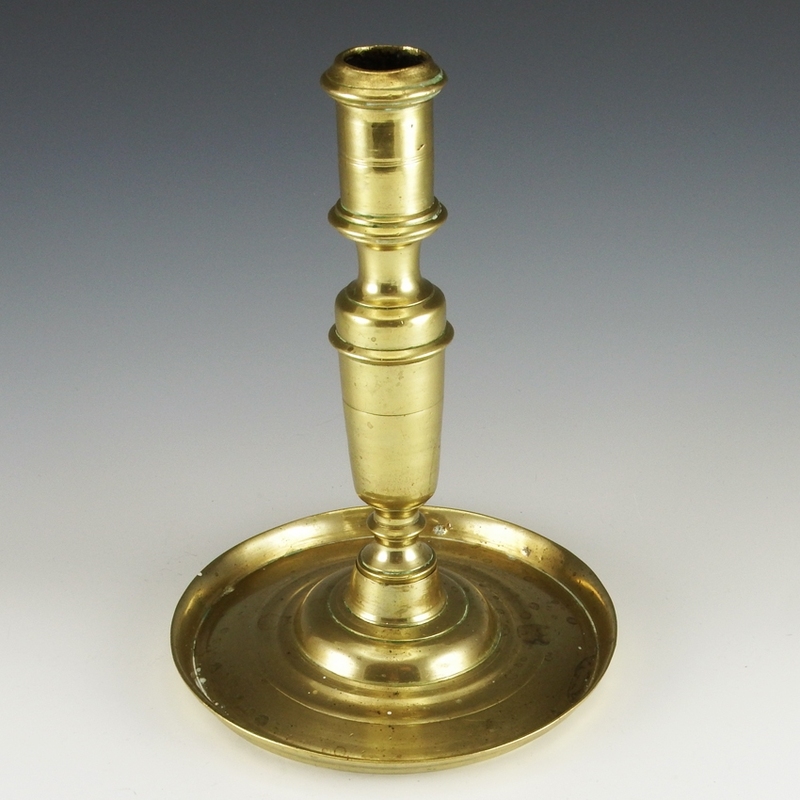 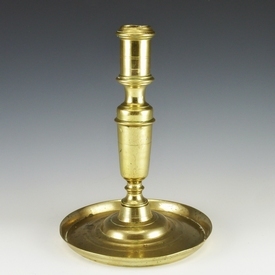 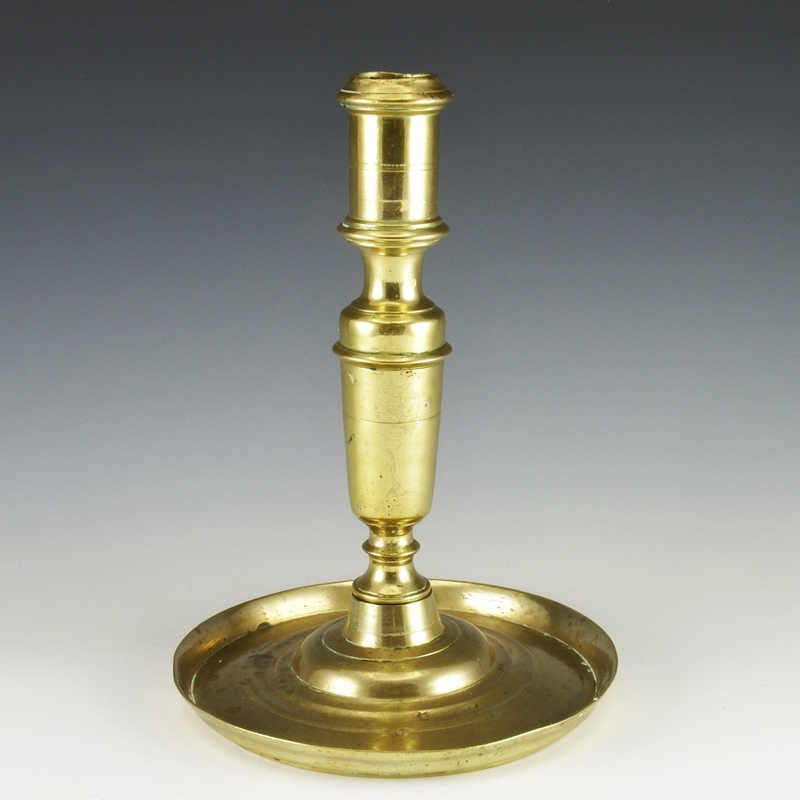 Dutch brass candlestick with large dish-pan base. 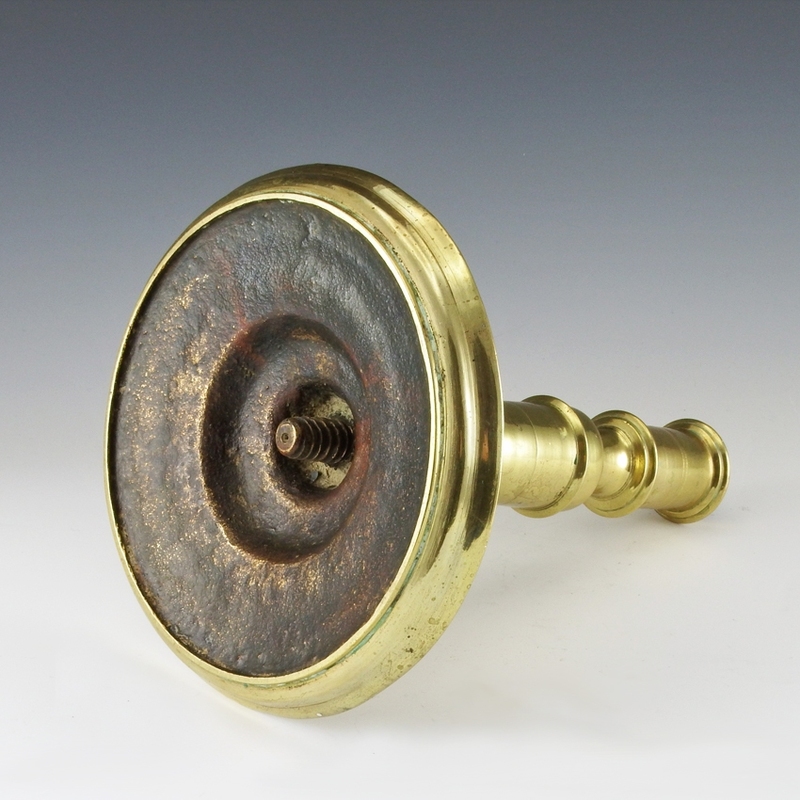 The shaft and bottom are attached with a handmade screw. 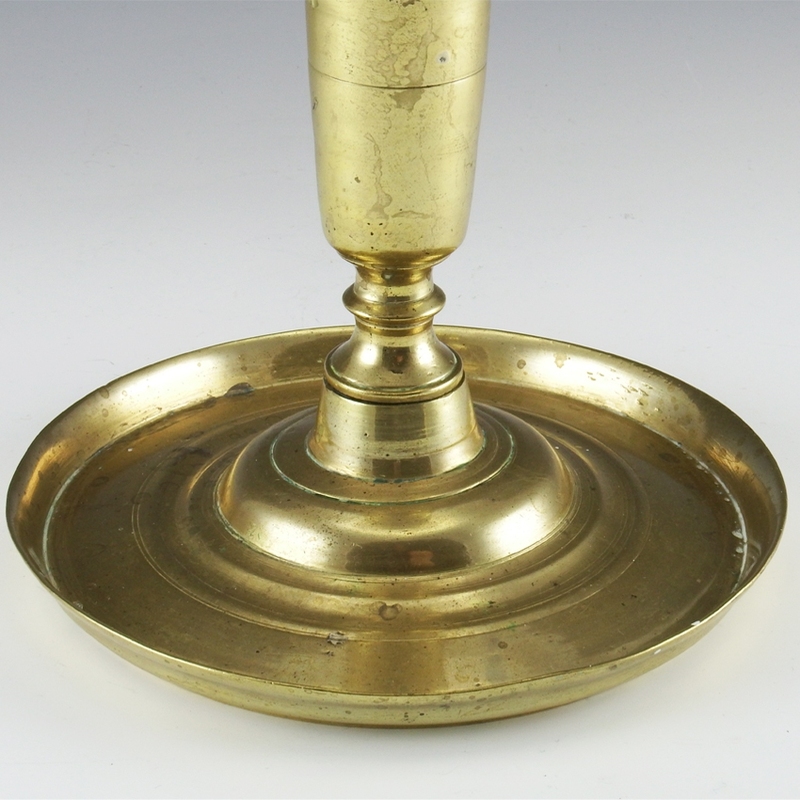 In good condition with signs of use consistent with age.